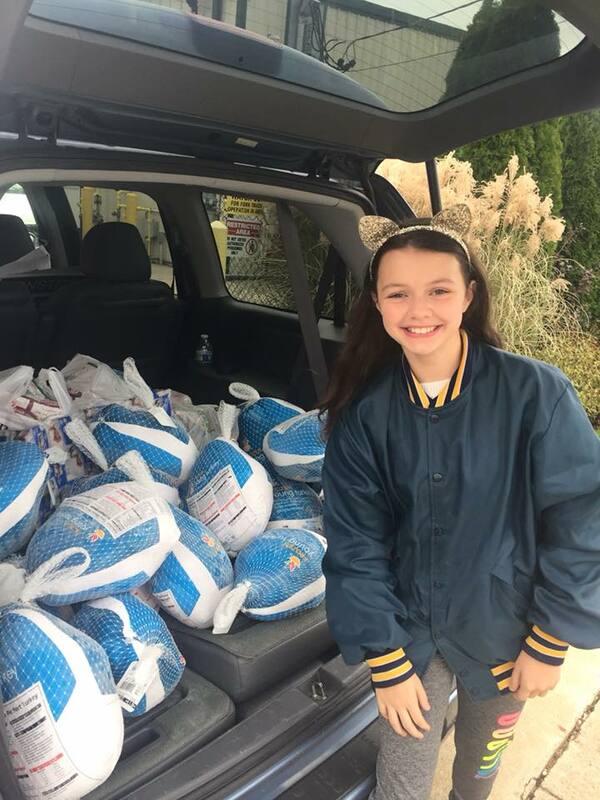 Since it is #GivingTuesday I wanted to reflect back on what an amazing job a young girl in our community did this month to give back to others this Thanksgiving. 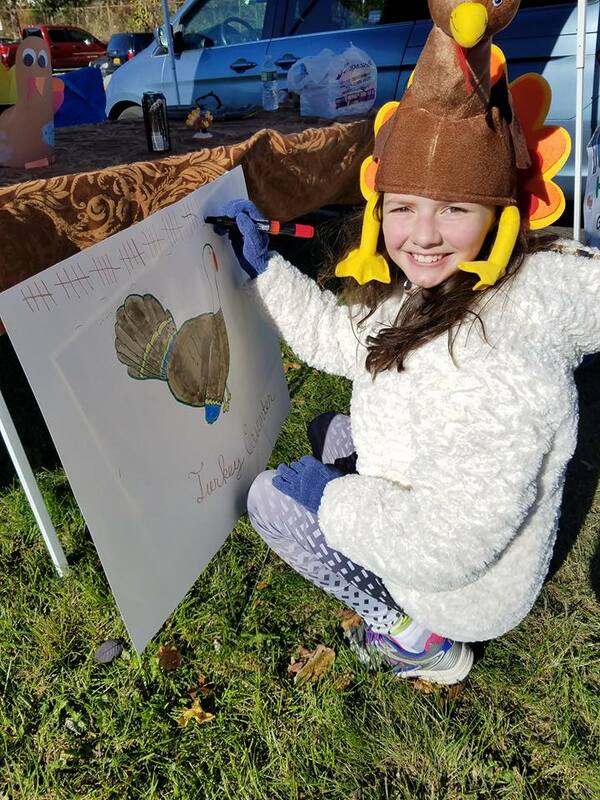 10 year old, Lana Moreno has a heart of gold and held her 2nd annual Give A Gobble Food Drive on Saturday, November 11th at the AMVets Post 48 in Ronkonkoma. 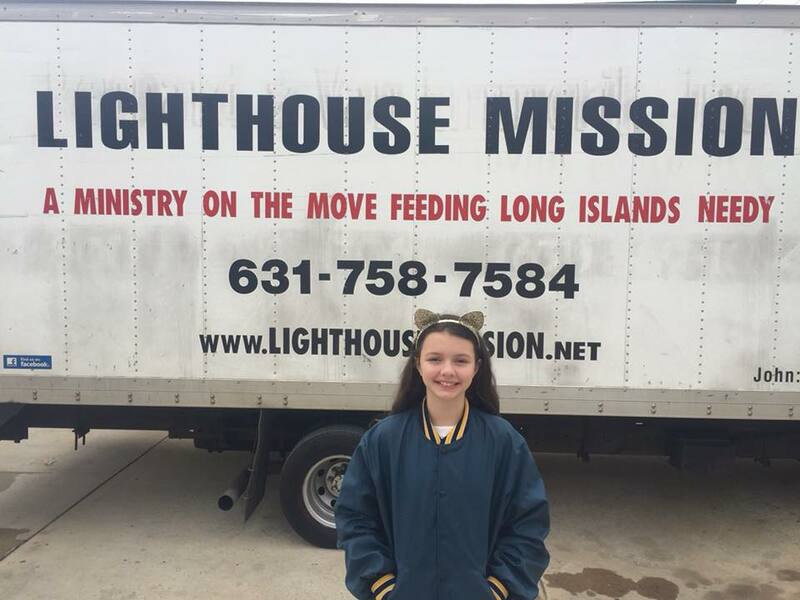 Lana Moreno started Lana’s World Hunger Dream at 8 years old in August of 2015 because she wanted to help people in need of food on Long Island. 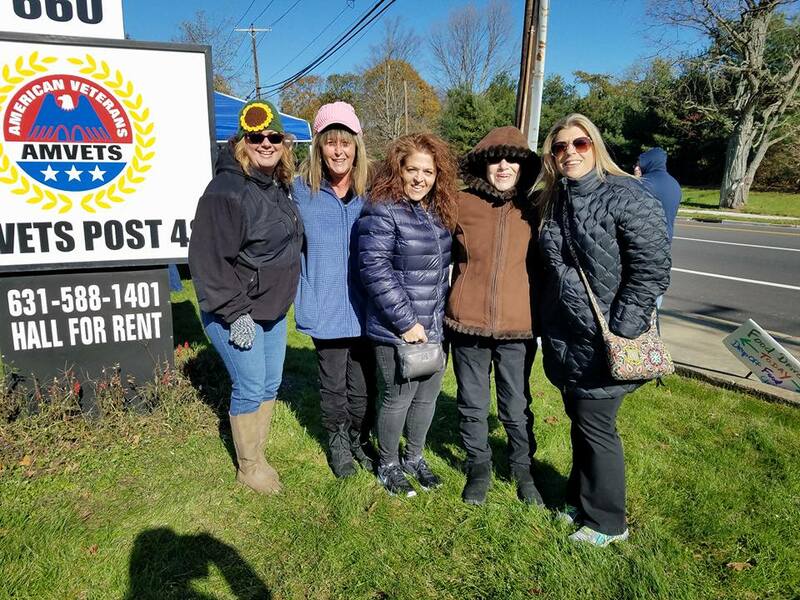 Lana has been collecting donations, shopping for food, donating items, running food drives and participating in community events for the past 2+ years. 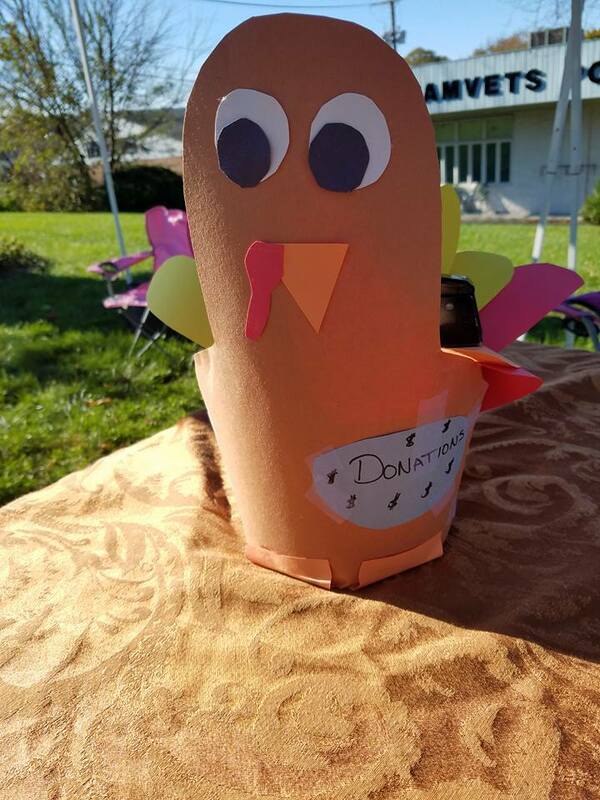 Last year the “Give a Gobble Food Drive” was a huge success and 117 Turkeys and trimmings were collected to donate to the Lighthouse Mission of Bellport. Lana was so grateful and excited with that number but, we knew she could top it and SHE DID! 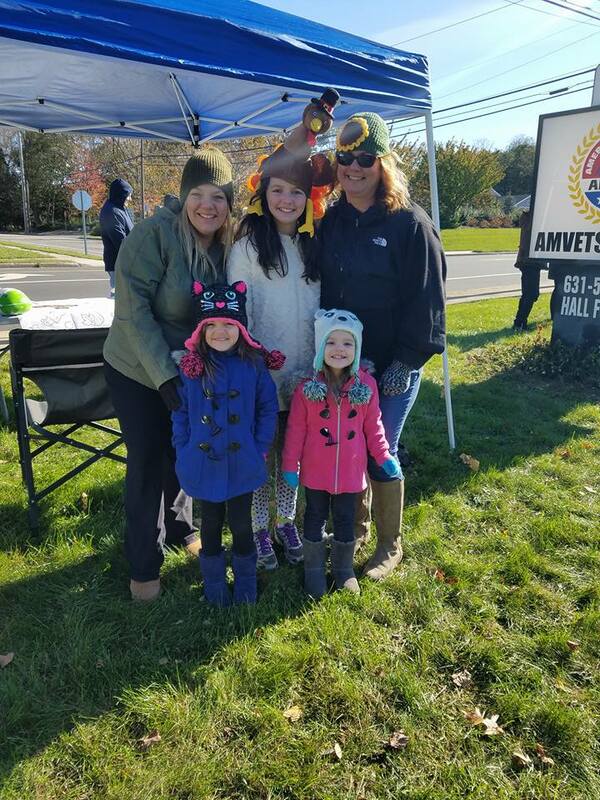 At the 2nd Annual Give a Gobble Food Drive, 174 turkeys were collected that is including the 113 Turkeys and Trimmings that were donated by Stop & Shop Farmingville. 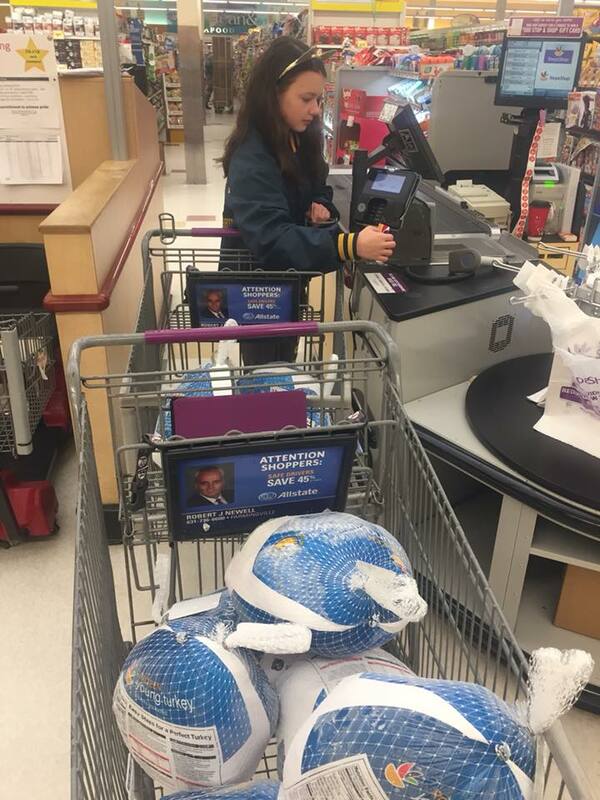 There was a good amount of money raised at the event and with that money Lana was able to purchase 42 more turkeys at Stop and Shop for a grand total of 216 Turkeys! THAT IS INCREDIBLE!! 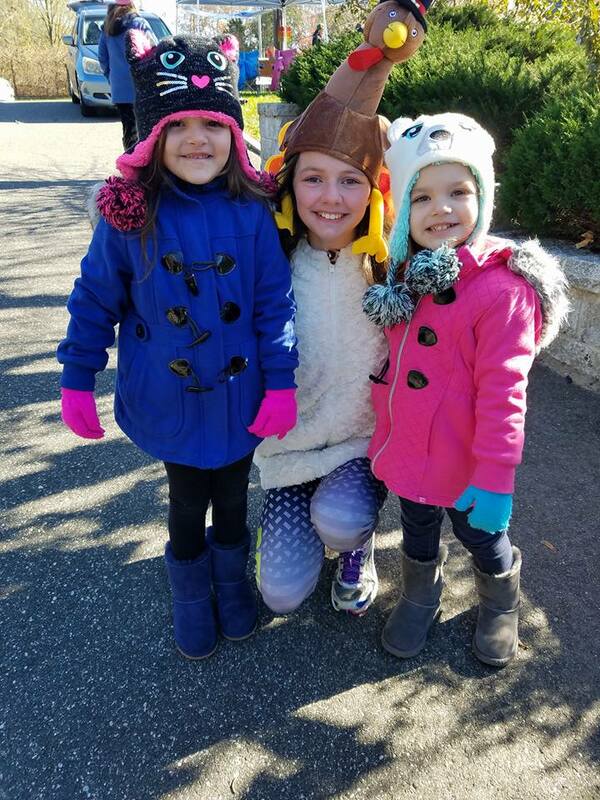 I would personally like to thank Lana for being an amazing role model to my daughters. 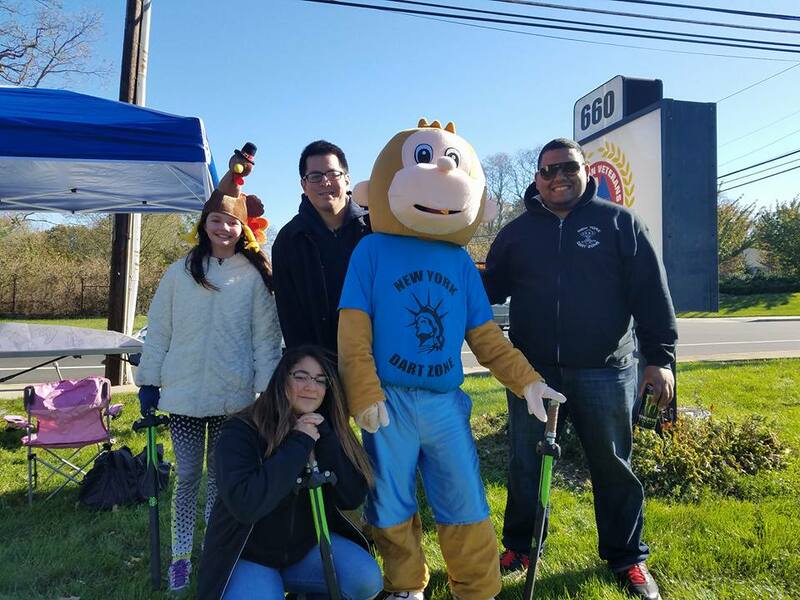 Lana inspires other kids in our community that they can make a difference, too. 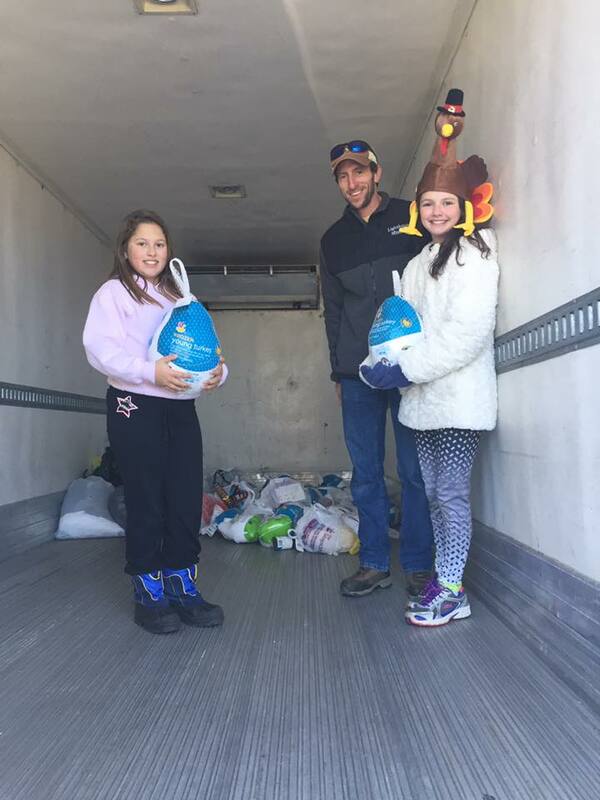 Her heart and passion for helping others is what my family loves about her so much. 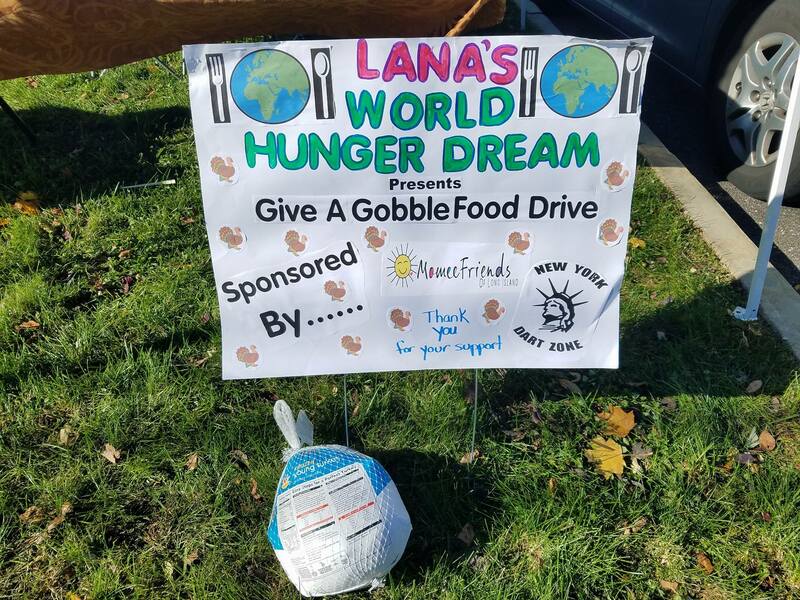 I can not wait for next year’s Give A Gobble Food Drive and continuing to see Lana’s World Hunger Dream grow. Hope to see everyone next year! 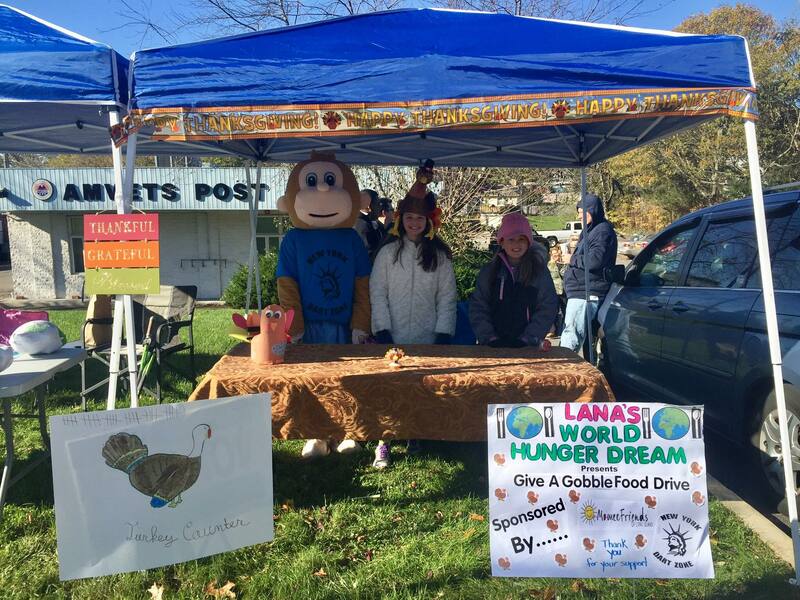 Again, Thank You to all who supported and please follow Lana’s World Hunger Dream on Facebook she is always collecting donations for our community.